I first made this lamb, and posted the recipe, about 6 years ago. 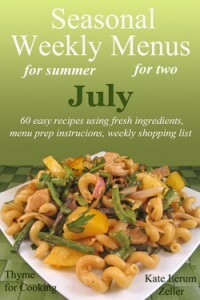 It’s so good, and so easy I’ve made it often since and thought it was worthy of a re-post. It seemed appropriate to do it on Easter Sunday. We had it for dinner last night…..
It’s started hot, to brown the crust, then finished slowly. I did not forget salt…. None is needed with all the lovely spices. This will easily serve 4 or six – add more potatoes if needed. Make a paste of the butter, oil, cumin, paprika, rosemary and garlic. With a sharp knife make slits all over the lamb. Spread the paste on the lamb, covering it as best you can. Roast for 10 minutes at 425F (220C). Reduce temperature to 315F (160C) and roast for 3 hours, basting with pan juices every 30 minutes. 45 minutes before lamb is set to be done cut potatoes into large chunks and add to roasting pan, stir to coat with pan juices and continue to roast. To serve: Remove lamb and allow to rest for 10 – 15 minutes before carving. Put potatoes back into oven, (turn oven off) to keep warm. 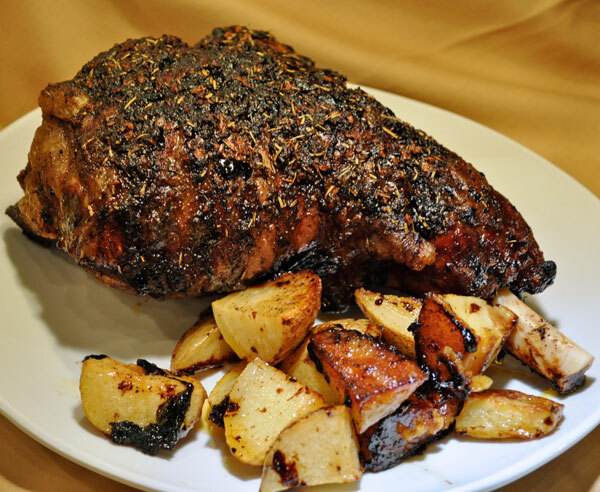 When ready, slice lamb, arrange on platter with potatoes. When I was a child Easter was a big holiday. We always had ham and sweet potatoes for dinner, which I loved, and usually had part of our large extended family to celebrate with. Finding the dyed Easter eggs was fun, of course, and getting all the chocolate and jelly beans after lent was finally over was a treat. And we all got new ‘Easter clothes’. In retrospect, that was just the excuse my mother used to take the family shopping for new spring outfits. 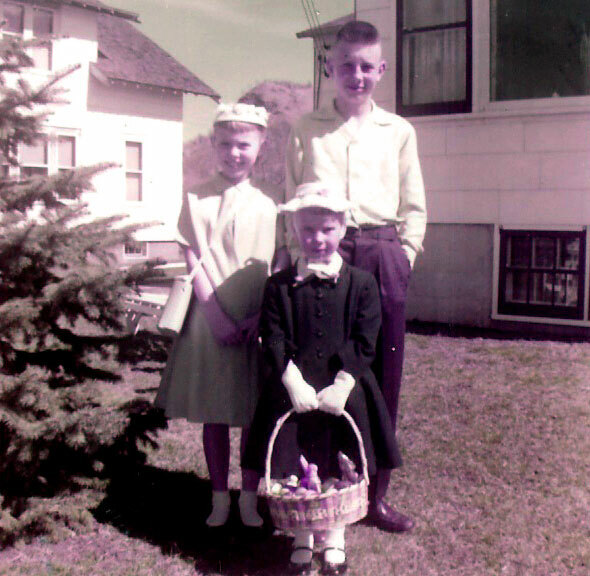 As we were children, and growing, this was necessary every year anyway, but it always happened in time for us to be decked out in new duds for Easter Sunday church…. As was every other family in our small town. And, of course, my mother always took a photo of us…..
On another note…. here is a fun internet ‘Easter Egg’ I learned about the other day. Go to the Google home page and, without typing in anything in the search box, hover your cursor over I’m Feeling Lucky. It will spin through other options (I’m Feeling Puzzled or I’m Feeling Playful). Click and see what happens. We had a long lunch with friends today and I’m easily entertained…..
We had “Sunday School” hats as little girls just like yours !!!!! We had dyed eggs for a hunt and chocolate bunnies. I got the ears. Tried the Moroccan slow roasted leg today. Thank you for sharing it, it was delicious!!! kate – the hats, and the gloves… Always had to match. A bit different these days. Lynne, thanks…. It’s our favorite! So glad you liked it Edward! Does the garlic not burn this way? Better to stud the garlic into the leg? I’ve not had a problem with it burning at all…. perhaps because it’s roasted slowly, and part of the paste. I’ve made this several times – never an issue.